In common use, the executive command center of the audio input up to 46 road system, output as many as 14 road, and the need for multiple input and output complex routing assignment. In order to meet the application requirements, choose the three Symetrix Radius AEC and two xIn12 audio input device. Use cable connection between processors, Dante protocols used for transmission, through the SymNet Composer open architecture software configuration layout, easy audio signal routing and sharing. But also can make the redundant backup, through the Internet cascade realize centralized control. Beijing first song engineer Mr Fan said: "in the audio system, input that routing processor allocation and control in a wide range of operation is more complicated. In the end we through SymNet Composer open architecture software, adopt the way of grouping the input source type, make the whole operation has been greatly simplified." Not only that, Symetrix Radius of AEC processor has patent "acoustic echo cancellation (AEC) function, especially suitable for such applications. Mr Fan said: "as the highest law execution control center in Beijing, it often need to administer the intermediate peoples court and the district or county peoples court in video conference, through the function of acoustic echo cancellation Symetrix, can eliminate distract attention from the echo video conference and obvious noise, at the same time to the pure all frequencies audio transmission to local end with the remote end." For the convenience of control, but also use the Allen & Heath professional mixer ZED436 4 bus. It has 32 double stereo microphone or line input and 2 road input, can meet the demand of local audio input more. Two main amplification is used EAW LS832i column speakers. They are installed on the main screen both side wall, the compact, elegant appearance, with the whole decorates a style is very harmonious. While the execute command center area of less than 100 square meters, but the width is bigger, need to select level cover Angle wider sound box; And in order to avoid too much of the ceiling and ground reflection, the sound box of vertical cover Angle shoulds not be too big. EAW LS832i speakers can fully meet the demand of field application, it has a level 140 - degree coverage and strong vertical directivity, both to ensure uniform coverage, and to avoid harmful reflection. 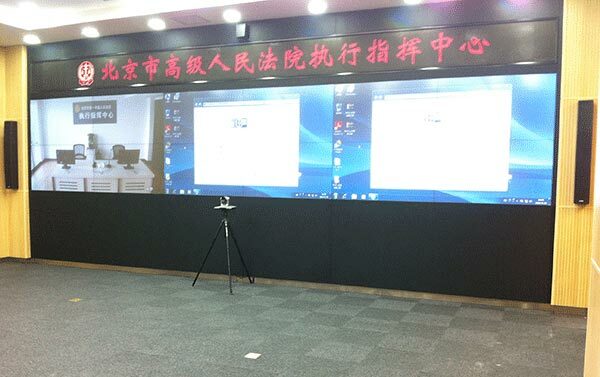 The system can meet the demand for audio routing command hall, operation simple and intuitive, the room sound coverage with remote video calls the quality is very good,customers are very satisfied. Audio signal from the remote video conference system and local speech signal source access Allen & Heath professional mixer ZED436 4 bus and every eight microphone with only a microphone mixer automatically. Mixer circuit output of 1-6 connected with Symetrix digital audio processor, line 7 connected to the output high-definition cameras. 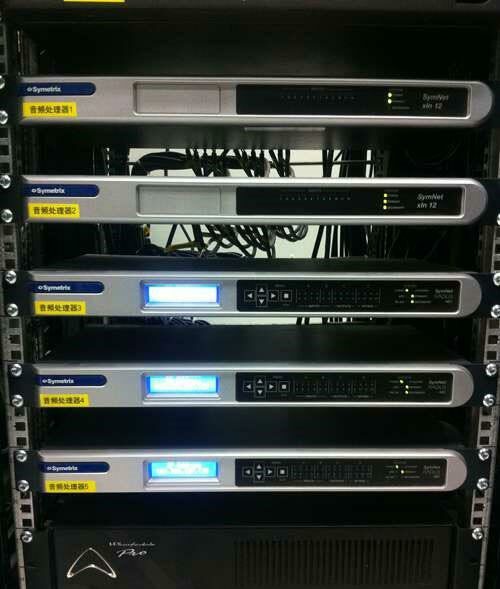 Symetrix also includes digital audio processor in the input signals from the personal computer audio and video matrix, through processor output 1 and 2 of the output signal after Mission Pro M2400 amplifiers, feed two EAW LS832i column speakers. Processor output 3-14 decoder is connected to the operating system. Copyright © GUANGZHOU ZHENGSHENG ELECTRONIC CO.,LTD All Rights Reserved.